This "Carbide Grey Metallic" 2017 Subaru Impreza is in beautiful condition inside and out! 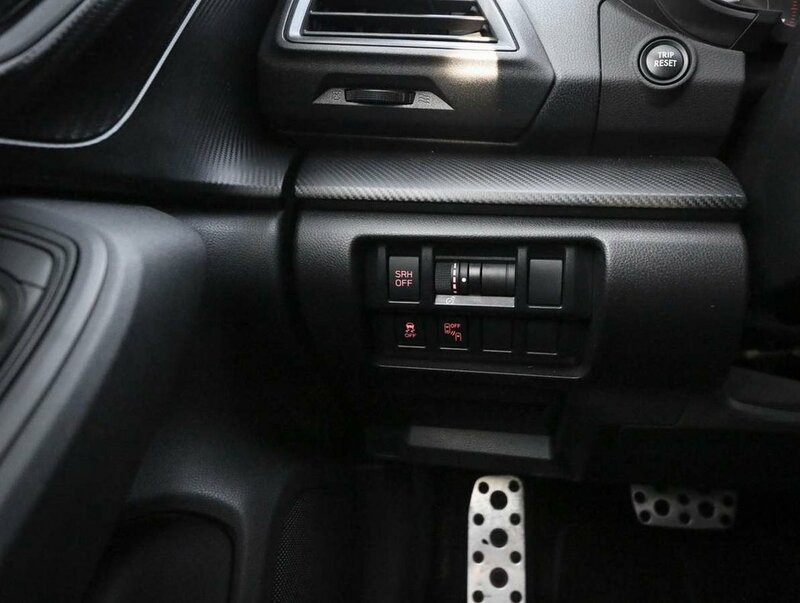 Both the interior show very nicely and have been very well cared for by the previous owners. 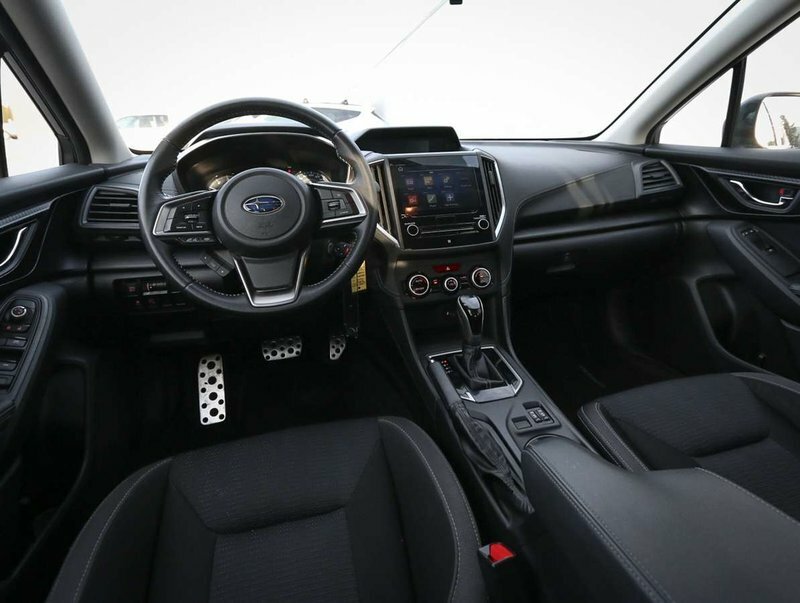 The interior is very spacious, well-kept, and even still has that "new-car" scent. 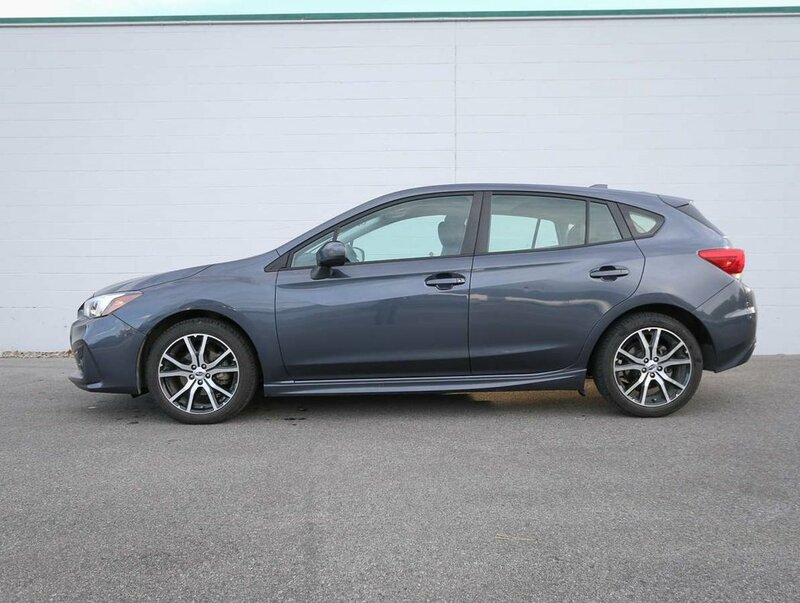 We purchased the Impreza so we could offer our customers more diversity in our pre-owned inventory, and after we reviewed the Impreza's condition and it's history, we knew it would make an excellent option for a safe and reliable every day commuter for the Okanagan! 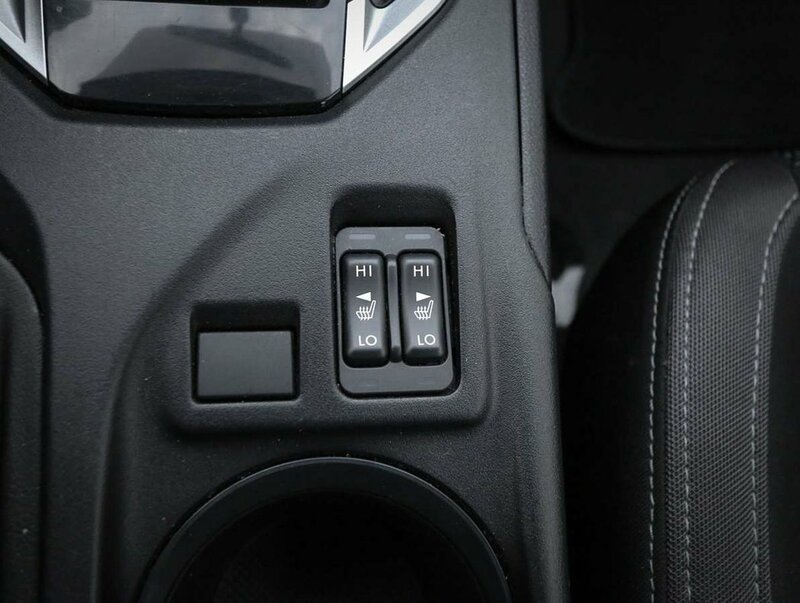 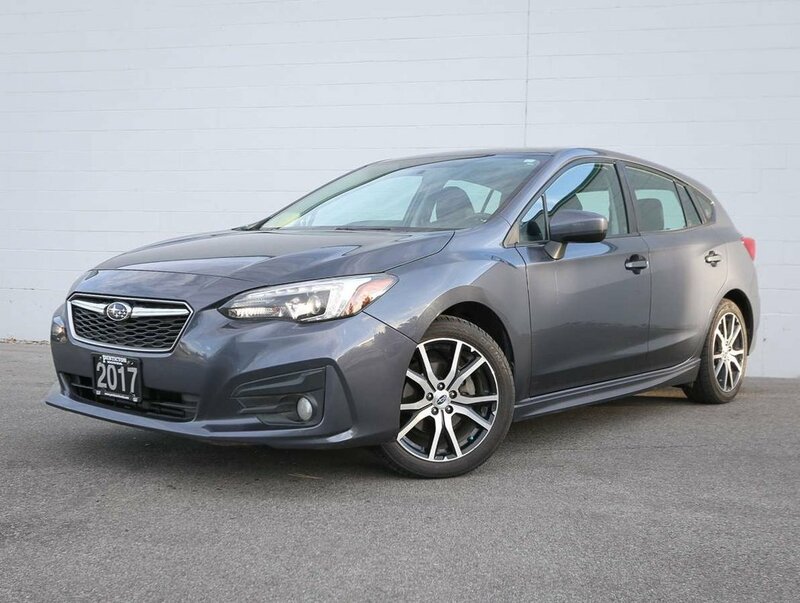 With a reputation for it's smooth quiet ride, responsive handling and brakes, as well as handling efficiently in the snow with the AWD, this Impreza is a great option for a daily commuter. 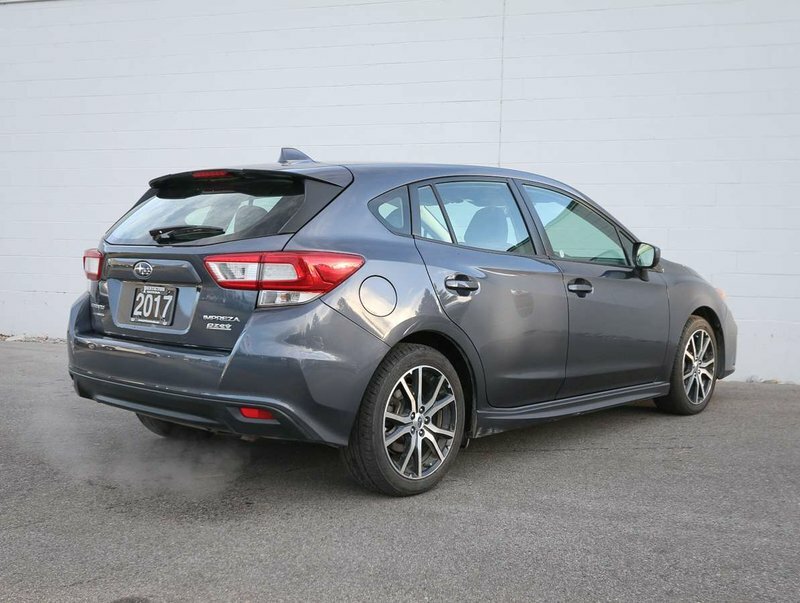 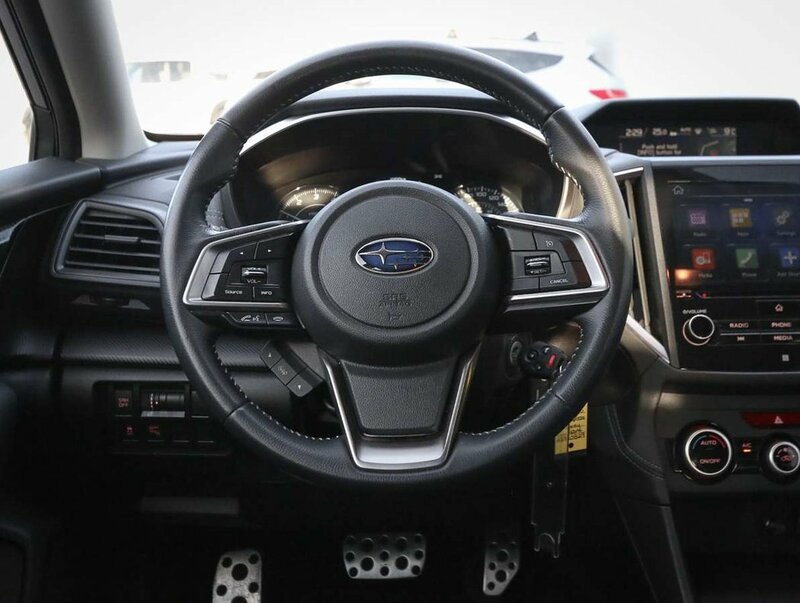 For your peace of mind, we put the Impreza through a multi-point, comprehensive used vehicle safety inspection in order to ensure driving qualilty. 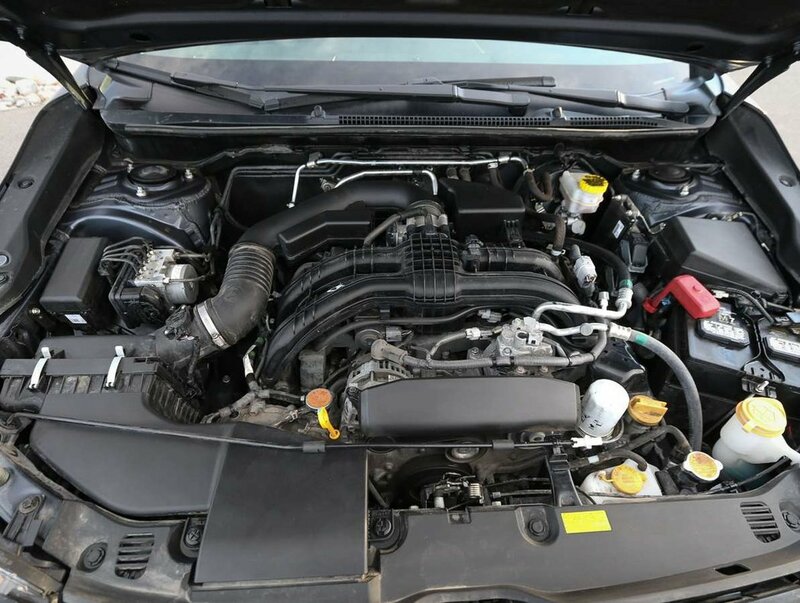 As part of that inspeciton, our certified technicians replaced the engine air filers, topped up the fluids serviced the brakes, and replaced the front wipers. 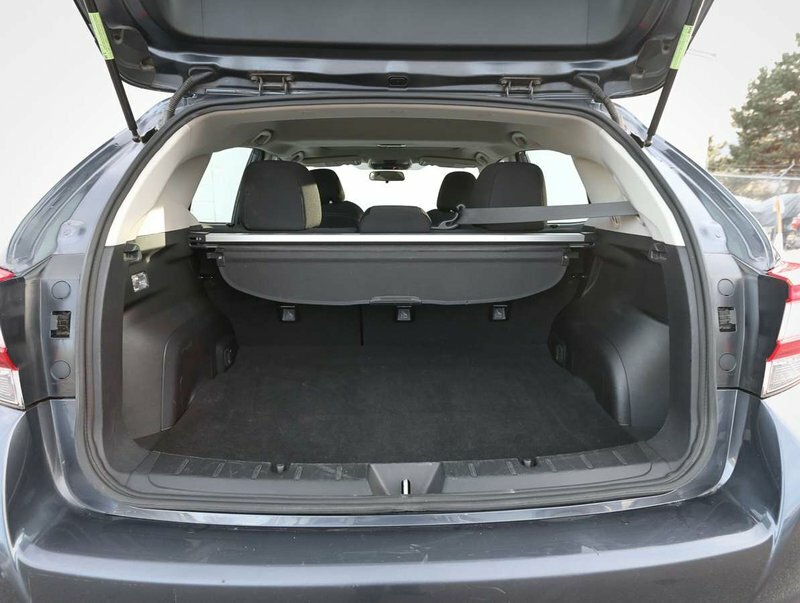 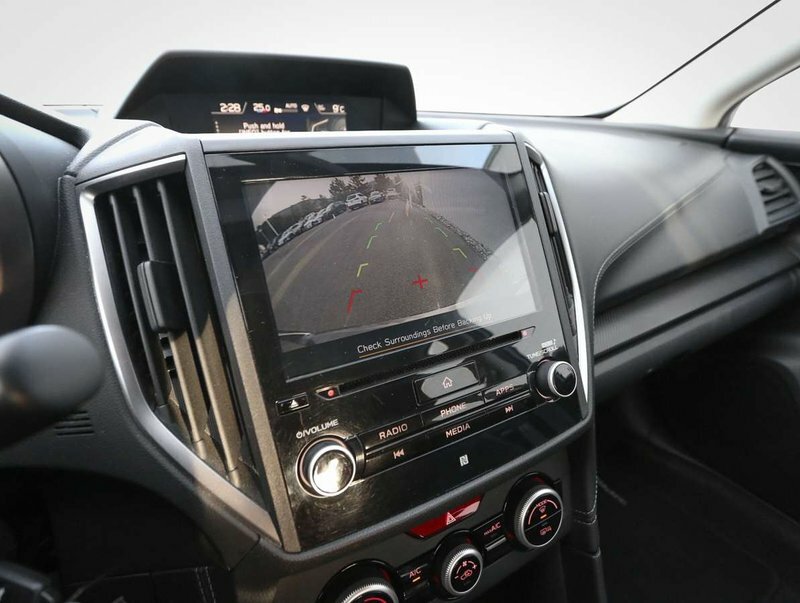 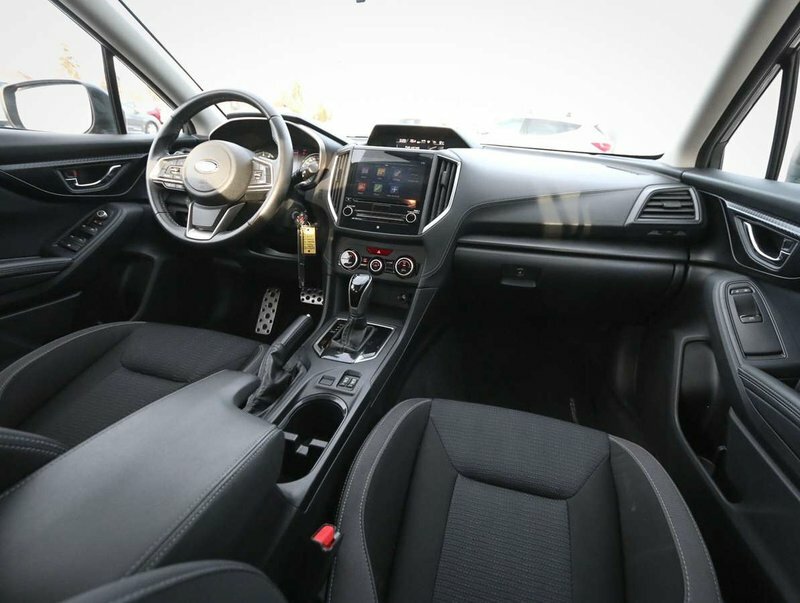 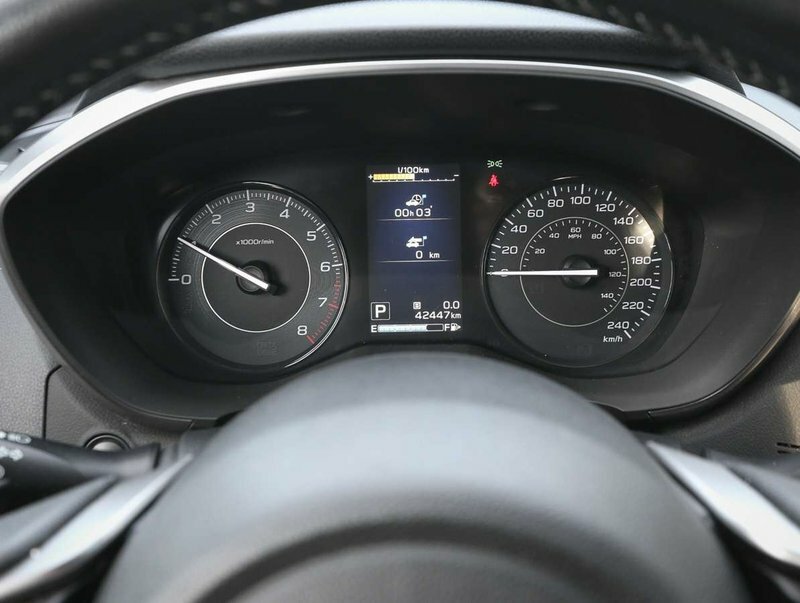 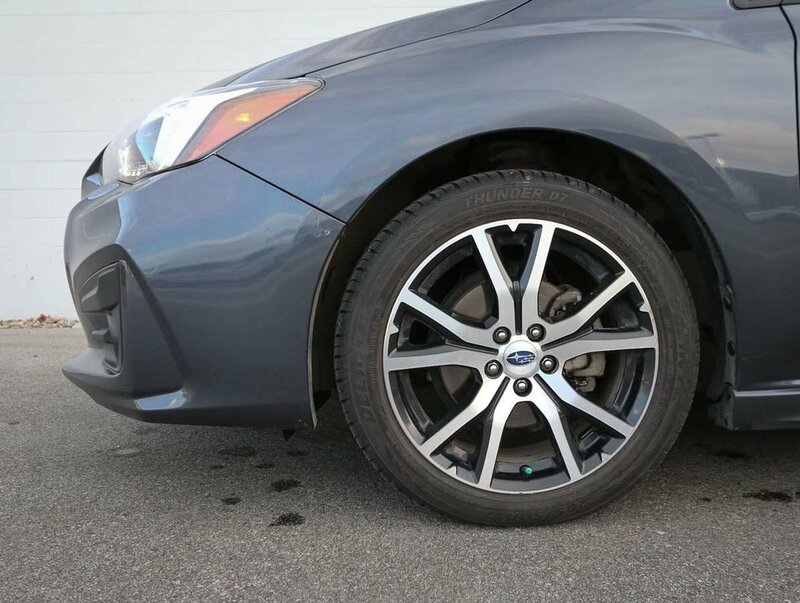 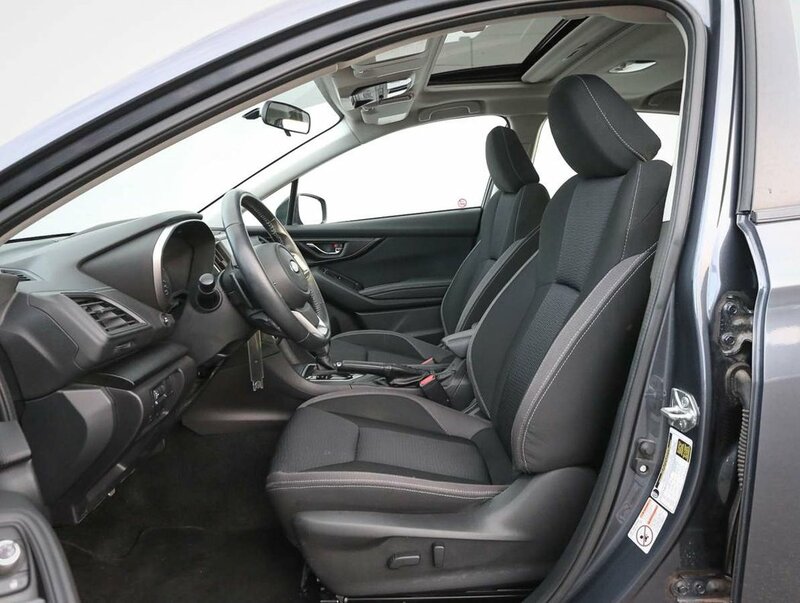 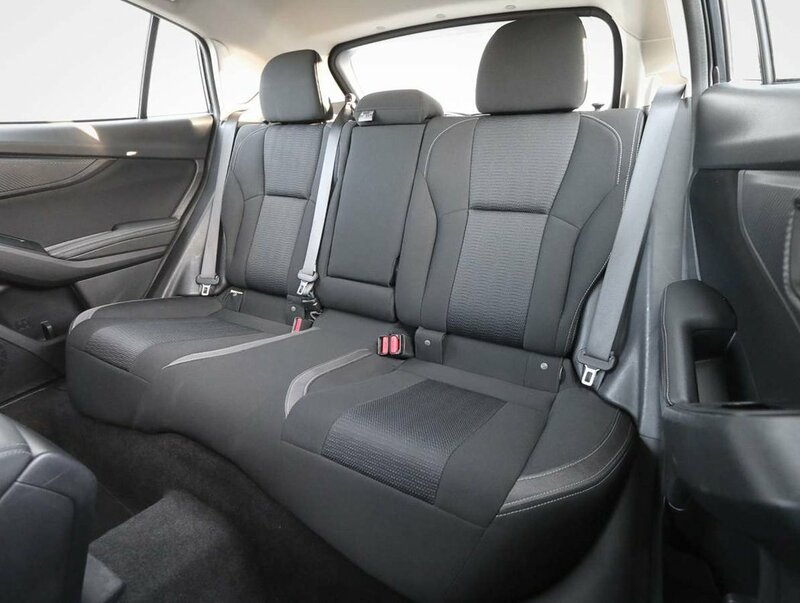 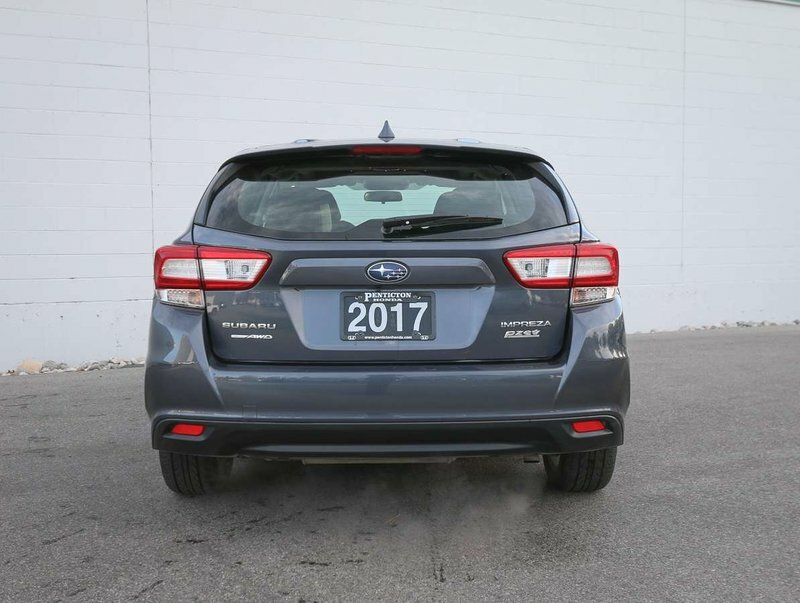 This 2017 Impreza is in optimal driving condition and is more than ready for a test drive. 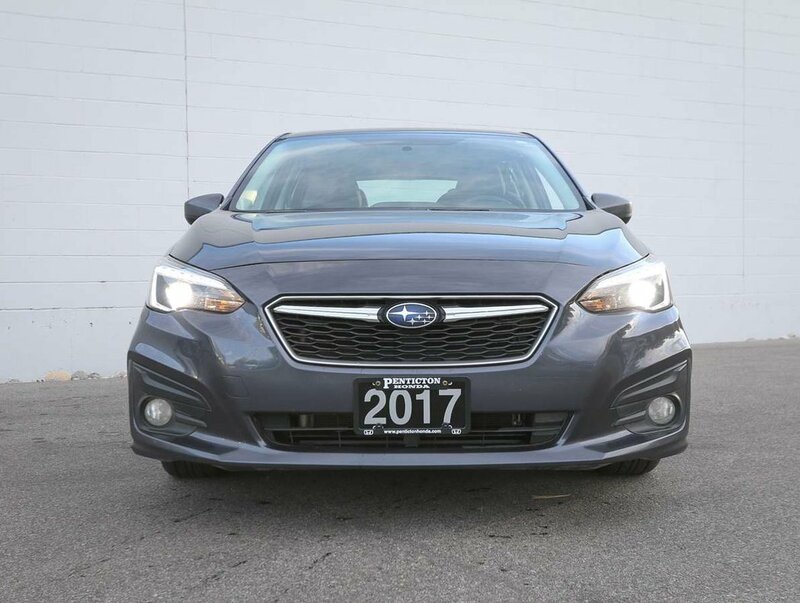 Some of the great features in the 17' Sport model include a back-up camera, power sunroof, heated cloth front seats, traction control, blind-spot monitor, leather wrapped steering wheel with cruise/audio and Bluetooth controls, power windows/locks/mirrors, cargo cover, alloy rims, fog lights and more!